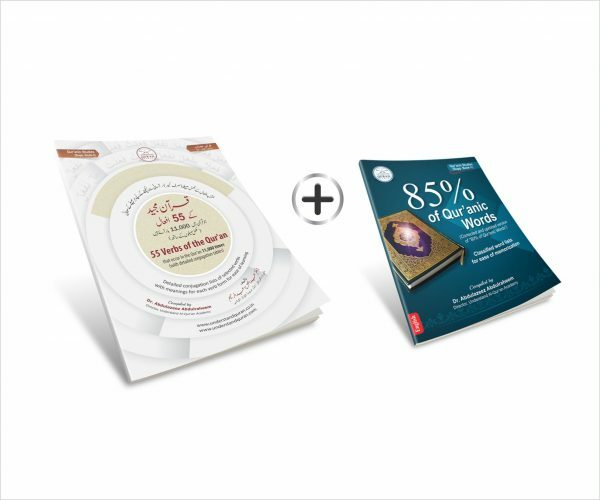 “55 Verbs of the Qur’an” is a book which contains 55 verbs which occur more than 11,000 times in the Qur’an. 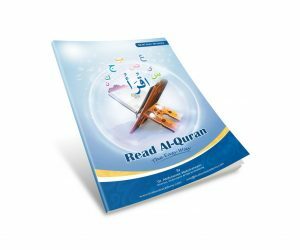 The book has been complied by Dr. Abdulazeez Abdulraheem, Director, Understand Al-Qur’an Academy, published by Live Book Academy in February 2016. 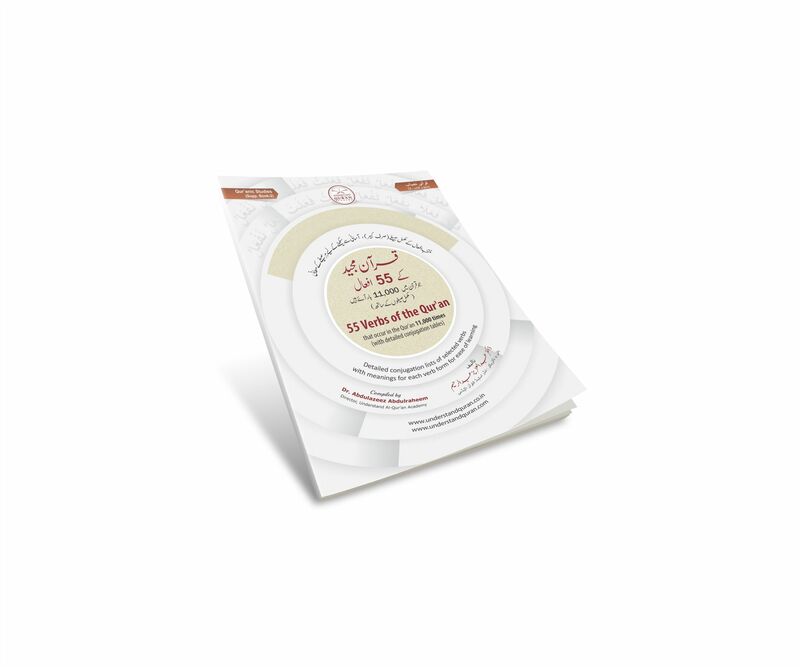 The book is a humble effort to provide an aid to the students and the teachers of the Qur’an. By using the book one can learn “conjugation of verbs” which is one of the most difficult topic of Arabic Grammar. It is observed that most of the students start to drop the grammar classes on reaching this topic because of the difficult terminologies involved. Alhamdulillah, by avoiding terminologies and using Total Physical Interaction learning the topic rather becomes fun. 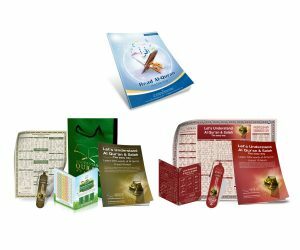 A student/teacher can also use the book to make interactive posters for faster learning and longer retention, in sha Allah.